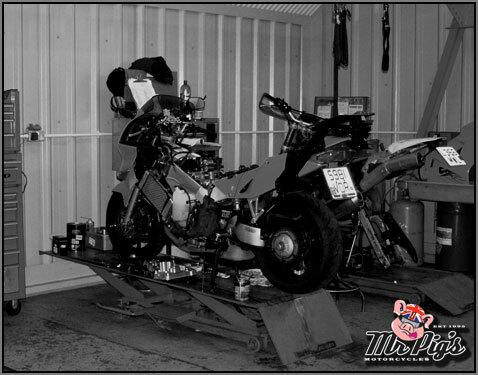 Mr Pig's offers motorcycle servicing which surpasses all the main dealer attempts by far. We treat your machine with the care and respect you don't get from the large dealerships. The aim of our servicing is to make your bike run the best your bike can run. This means that we are not in the business of just changing parts we can charge for but actually look at each system for faults and improvements giving you the customer the ultimate performance. We take your service seriously and expect you to feel the Pigsy difference.